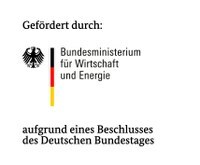 The ANGUS research is integrated in the Energy Storage Initiative of the German federal government and separated into two subphases: ANGUS+ (the first project phase) and ANGUS II (the second project phase). The following websites provide detailed information about the two project phases including objectives, structure and results. The project lasted from 54 month, from July 2012 to June 2017. The cooperative network ANGUS+ composed of the Kiel University (CAU), Helmholtz Centre for Environmental Research (UFZ), German Research Centre for Geosciences (GFZ) and the Ruhr-University Bochum (RUB). This project was funded by the Federal Ministry of Education and Research within the Energy Storage Funding Initiative of the German federal government. The project duration is 48 months, ranging from January 2017 to December 2020. The cooperative network ANGUS II composed of the Kiel University (CAU), Helmholtz-Centre for Environmental Research Leipzig (UFZ), Flensburg University of Applied Sciences (HSF), European University of Flensburg (EUF) and the Johannes Gutenberg University Mainz (JGU). ANGUS II is funded by the Federal Ministry for Economic Affairs and Energy within the Energy Storage Funding Initiative under the grand numbers: 03ET6122A (CAU), 03ET6122B (UFZ), 03ET6122C (JGU), 03ET6122D (HSF), 03ET6122E (EUF).